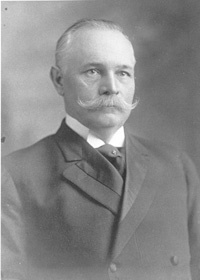 FLETCHER, Duncan Upshaw, a Senator from Florida; born near Americus, Sumter County, Ga., January 6, 1859; moved with his parents to Monroe County in 1860; attended the common schools and Gordon Institute, Barnesville, Ga.; graduated from Vanderbilt University, Nashville, Tenn., in 1880; studied law at the same institution; admitted to the bar in 1881 and commenced practice in Jacksonville, Fla.; member, city council 1887; member, State house of representatives 1893; mayor of Jacksonville 1893-1895, 1901-1903; chairman of the board of public instruction of Duval County 1900-1907; president of the Gulf Coast Inland Waterways Association in 1908, and, later, of the Mississippi to Atlantic Waterway Association; appointed and subsequently elected as a Democrat to the United States Senate for the term commencing March 4, 1909; reelected in 1914, 1920, 1926, and 1932, and served from March 4, 1909, until his death on June 17, 1936; chairman, Committee on Printing (Sixty-third and Sixty-fourth Congresses), Committee on Commerce (Sixty-fourth and Sixty-fifth Congresses), Committee on Transportation Routes to the Seaboard (Sixty-sixth Congress), Committee on Banking and Currency (Seventy-third and Seventy-fourth Congresses); president of the Southern Commercial Congress 1912-1918; appointed by President Woodrow Wilson in 1913 as chairman of the United States commission to investigate European land-mortgage banks, cooperative rural credit unions, and the betterment of rural conditions in Europe; delegate to the International High Commission at Buenos Aires, Argentina, in 1916; died in Washington, D.C.; interment in Evergreen Cemetery, Jacksonville, Fla. Dictionary of American Biography; Flynt, Wayne. Duncan Upshaw Fletcher, Dixies Reluctant Progressive. Tallahassee: Florida State University Press, 1971; U.S. Congress. Memorial Addresses. 75th Cong., 1st sess., 1937. Washington, D.C.: Government Printing Office, 1938.